Sixty Years of the Diminutive Fiat 500 to be Celebrated in Style. Join us at the Goodwood Revival 8-10 September. 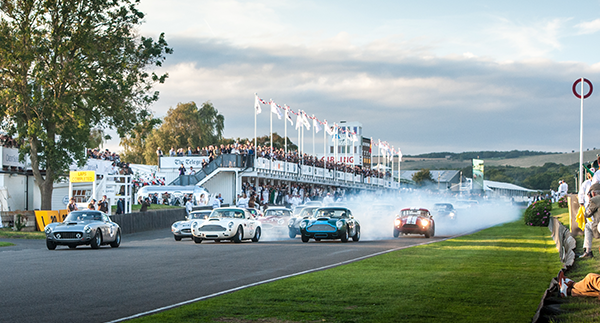 With just over five weeks to go until Goodwood Revival, visitors are in for a special treat with a fantastic weekend of exciting racing and vintage fashion. To mark the 60th anniversary since the launch of the now-iconic 1957 Nuova Fiat 500 – the diminutive rear-engined four-seater passenger car that helped to put Italy on wheels post-war – there will be a display and lively circuit parade of more than 150 examples of these cute Torinese city cars each day. With a sea of green, white and red Italian flags fluttering in the breeze, a real taste of Italy will come to the 2017 Goodwood Revival, with Italian fashions and flavours of the period complimenting the display and daily opening-parade of the Fiat 500s. On the track the Fiats will be joined by a handful of other Italian vehicles of the period, to resemble more the 1950s movie Roman Holiday than the Goodwood Revival. ← Who wants to go for a ride?